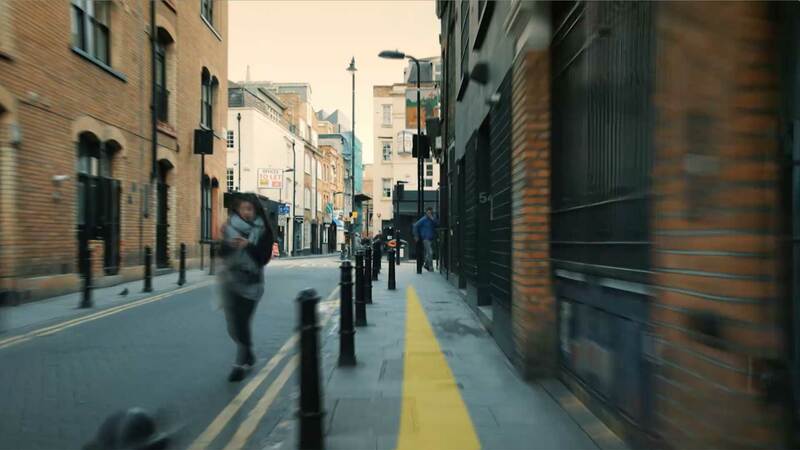 We have vast experience in the specialised areas of Holborn, Farringdon, Clerkenwell, King's Cross and Shoreditch. 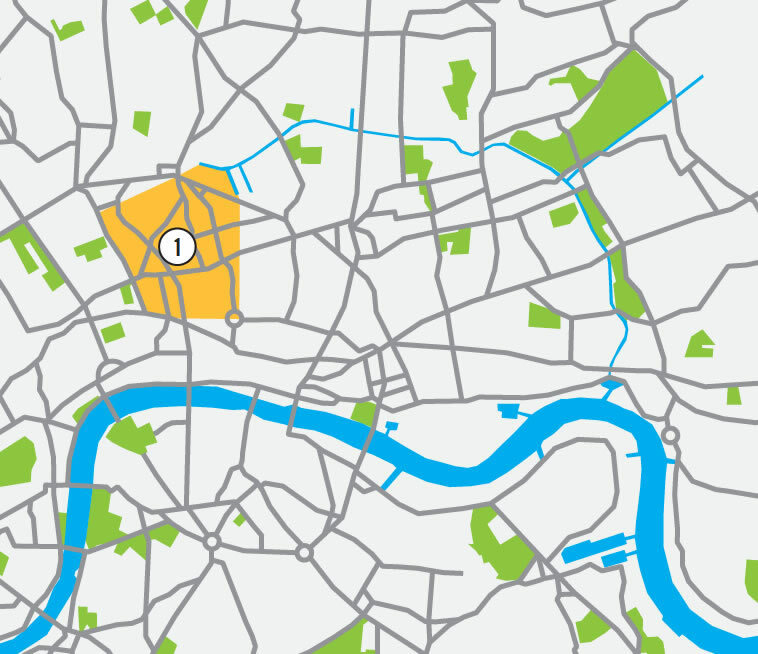 We are also expanding into Hackney and Dalston in the east and Islington and Highbury in the north. Where’s cool and what’s trending right now. If you haven’t been, Granary Square is a canalside public space in Kings Cross which was opened in 2012. Equivalent to the size of Trafalgar Square, Granary Square boasts 1,000 animated fountains, and is surrounded by a number of cafes, restaurants, bars and a street food market. The space was used to unload goods from barges in Victorian times but now hosts events throughout the year including family festivals, Fashion Week shows, a floating cinema and morning yoga. Opening their doors in the summer of 2017, Nobu Hotel Shoreditch is located just off Great Eastern Street, a bustling part of Shoreditch with many restaurants, bars and coffee shops within walking distance. The hotel features 143 guest rooms, seven suites and meeting space, as well as the world renowned Nobu restaurant, its third location in London, seating 240 people. Ideally located a five minute walk from Shoreditch High Street and ten minutes from Old Street Station, the hotel is perfectly located for travel in and around London. Rooms include a European King sized bed, study and dining area, walk in shower, complimentary wi-fi, TV with Bluetooth and Apple TV and 24 hour access to the fitness centre. Prices start at £195 per night. Launched in Shoreditch in 2011 by David Abrahamovitch and DJ Kaz James, the Grind chain has grown significantly with sites in Soho, Holborn, London Bridge, Covent Garden, Royal Exchange and Clerkenwell, as well as the newest addition, Exmouth Market Grind. Located on the famous Exmouth Market, a pedestrianised market street in Farringdon, Exmouth Market Grind serves everything from coffee to brunch to dinner, as well as offering a wide selection of cocktails and wine. Exmouth Market Grind’s art deco interior is instagram worthy, boastings neon signage, marble tables and white brick walls. Sosharu is located on Turnmill Street, EC1 and less than a stone’s throw from Farringdon Station. It is an exquisite Izakaya-style Japanese restaurant, serving food which focusses on bringing different landscapes to life. Founded by Jason and Irha Atherton, Sosharu boasts surroundings which reflect traditional Japanese Minka Houses, with an all-round sense of intimacy and calmness. With a real focus on the food available, executive Head Chef Alex Craciun has travelled and worked for several months in Japan, learning and perfecting his cooking. The restaurant is also rife with other intensely skilled chefs, bartenders and house staff. The native food on offer is delivered perfectly on small plates and specialities include Sashimi, Tempura and Hibachi Grill. The nature and ambience of the restaurant and bar alike are a welcomed amenity to the area, perfect for both corporate events and leisurely unwinding. A Japanese Ramen bar situated seconds from Old Street station, Bone Daddies is the latest fun and quirky addition to Shoreditch. The new Bower development is now a landmark for Old Street, featuring a new vibrant restaurant complex. Bone Daddies recently opened their fifth restaurant here; boasting sophisticated, great tasting bowls of Japanese cuisine. They specialise mainly in ramen, and ensuring the best, hand-crafted quality. The food involves many hours of preparation, from forming flavoursome broths to cutting all of their vegetables by hand. It has been described as ‘something different’ and makes for a trendy addition to Old Street Roundabout. Award winning food and drink destination, Albion, opened its doors in Clerkenwell this June, moments from Farringdon Station and in the heart of a thriving City Fringe district. The doors of the very first Albion opened in Shoreditch in January 2009, merely as a café/bakery. Since then, the brand has come on leaps and bounds and the Albion team have won many design, food and wine list awards, including the prestigious Hotelier of The Year Award in 2014. Albion Clerkenwell is the brand’s biggest venture yet and offers a wide range of experiences including a juice and oyster bar, a grocer, wine / craft beer shop and private dining and pie rooms. As of 2011, this brewery was inspired by a drought of craft beer in Hackney – one of the most culturally vibrant areas in London today. Thanks to them, Hackney now has its very own brewery to provide home grown, handcrafted beer. Along with this, the brewery offers tours and a brewery school, providing lessons and information on the art of brewing and its history, finishing off with an extensive tasting session. Now, after much progression and as part of a growing number of fine breweries in London, they are proud to have put Hackney on the map as a destination for the creation of great beer. El Ganso is a brand new Spanish café/restaurant, innovated by the experienced restaurateur Ihsan Tuncay & renowned Spanish chef Marcelo Sánchez Cabrera. Located in the buzzing and thriving borough of Hackney, East London, this spot is on the map for its larger than life atmosphere and amazing tasting food. The food here is authentic and recipes have been passed through generations. Priding themselves in regularly bringing in fresh ingredients, El Ganso promises an adventurous Spanish culinary tasting experience to hipsters and corporate workers alike, and a comfortable banquette-type seating style, welcoming all. The Hoxton Hotel, Holborn, is the Hotel chain’s newest branch, having just opened their doors but boasting dozens of amenities. With 174 cleverly designed rooms, ranging from sizes Shoebox – Roomy, this cool and trendy hotel is really taking off with its counterparts in Shoreditch and Amsterdam. Each room generously comes with unlimited free wifi, an hour of phone calls, fresh milk, tea and coffee, water and a daily breakfast bag drop – a banana, orange juice and granola. The hotel is also inclusive of 3 eateries including a chicken shop, a Brooklyn-style grill and a coffee shop.